PARIS (Reuters) -- Faurecia said third-quarter revenue rose 6.5 percent on a rebound in U.S. sales and a tentative recovery in Europe's vehicle market. Sales increased to 4.386 billion euros ($5.61 billion) in the three months ended Sept. 30, from the 4.117 billion reported a year earlier, the company said in a statement on Thursday. The French supplier, which is 51 percent-owned by PSA/Peugeot-Citroen, reiterated its full-year operating margin and sales goal, as well as a pledge to achieve positive net cash flow. Product sales rose 9.2 percent in Europe, 17.4 percent in Asia and 2.4 percent in North America, where the maker of door panels, dashboards, exterior parts and exhausts had hit complications last year. "Faurecia regained sales momentum with the ramp-up in production for a number of new Ford and Chrysler models," the company said. Total revenue beat the 4.269 billion euros expected by analysts, according to its own consensus survey of seven estimates. In July Faurecia had raised its goals for full-year 2014, pledging positive net cash flow, a 2-4 percent sales gain excluding currency effects and an increase of 0.3-0.6 percentage points to its operating margin. 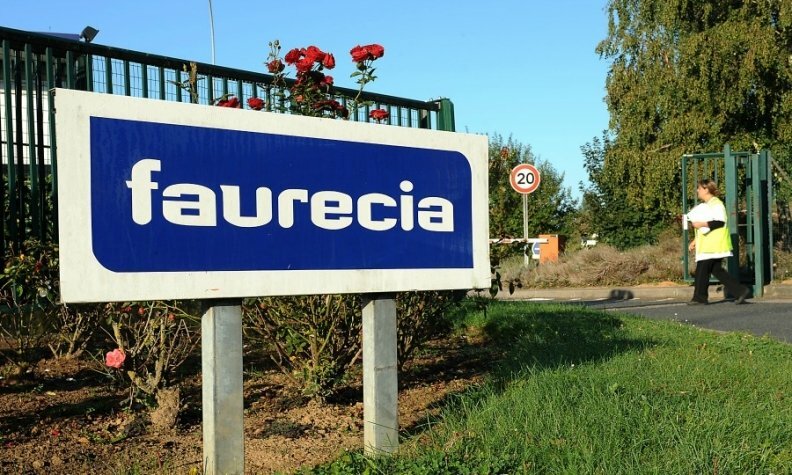 But Faurecia, based in the Paris suburb of Nanterre, said conditions continued to deteriorate in South America, where currencies and auto demand have suffered a sustained slump. The group said its regional sales fell 17 percent, with vehicle production down 20 percent.